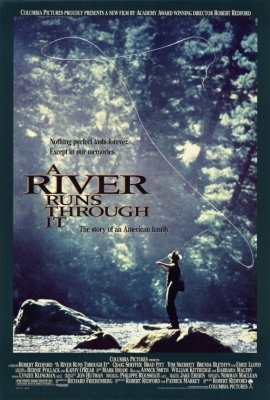 I like this movie as well as fly-fishing. 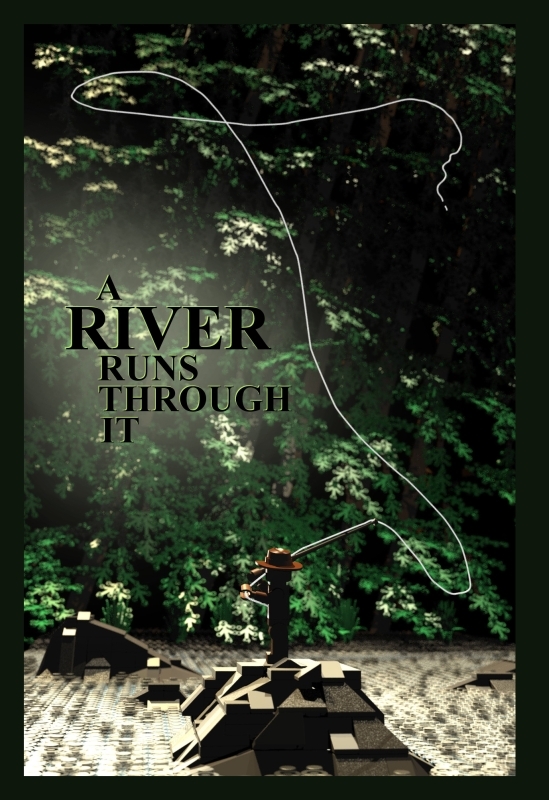 So my goal was to copy the movie poster by using virtual legos. The scenery was arranged with SR3D Builder. Fly Line (string) generated with LSynth (MLCad). Rendered with Pov-Ray: For lighting I used 6 spotlights. For getting closer to the mood of the original movie poster I disabled radiosity and used focal blur. It's my first poste in the "Special" forum. So hope you enjoy it. Very nice depiction of the poster and a good movie too. It looks very close to the picture on the poster! Good job! It fits perfectly. I had to look twice to see that the background plants are lego! On target, great movie too. Nice job there!